Led by Manchester native Richard H. Girard, a widely recognized and respected local public figure, Gerard at-Large is a unique, award winning program that not only discovers and uncovers what’s happening within the Greater Manchester area, but also gives its audience the opportunity to share what it knows. What could be a better source for “news from our own backyard” than from the people who live in it? 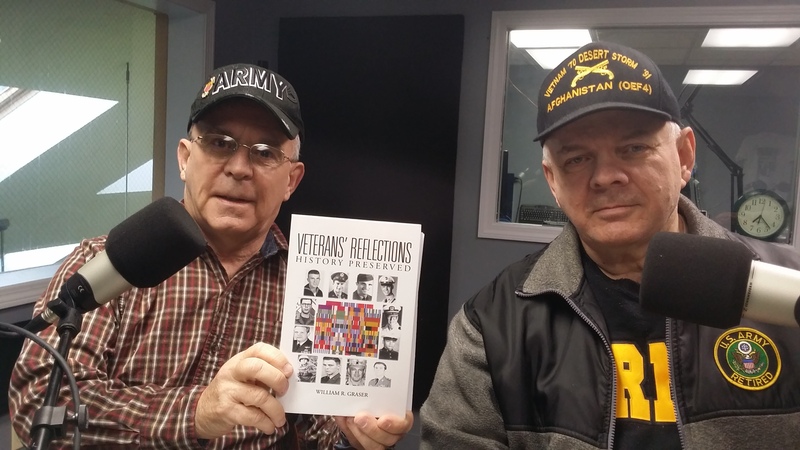 Veterans’ Reflections is available online at Barnes & Noble, Amazon and other booksellers. You can also shop local at Gibson’s Bookstore, 45 S Main St., Concord, NH and Stars & Stripes Gift Store, 58 Range Road Rte 111A (Exit 3, 93 South), Windham, NH.